I checked a few of the pages where there is a reference to the customer website and all of them had the correct protocol. Note that you can find such links using Google and other search engines. In Google, enter "link:" followed by the domain name of the website. To resolve the issue, I went to Google Mastertools and added both websites. The HTTP version as well as the HTTPS version. Both appeared and the mastertools gave me some information about each site. 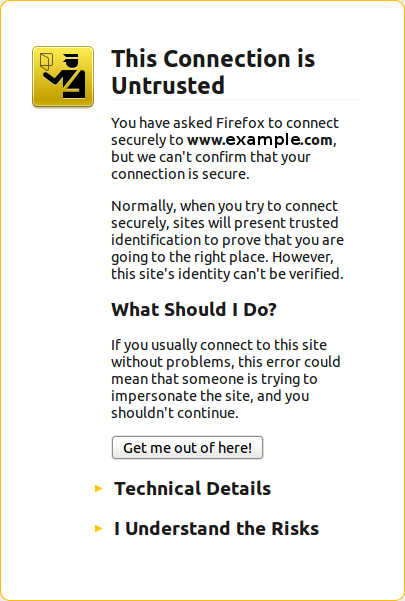 I could see that the HTTPS version was all there, which in a way was annoying. In order to prevent any further secure protocol pages from appearing in the index, I changed the Apache settings to include a redirect. If you are on the secure page of that domain trying to read the robots.txt file, then I return a robots.txt that forbids you from indexing anything on that website. # robots.txt for websites that are to not be indexed. Google does respect the robots.txt file so it will ignore all the pages in the secure version of the site that we do not want it to index. Next, I waited a few days. Now I can see that this new robots.txt file was read by Google for the HTTPS version but not the HTTP version. So I think this will work. I'm not 100% sure that they will really be capable of distinguishing both cases properly though. We'll have to wait a little longer to see what happens.